Bekkulova has been a textile artist for as long as she can remember, having studied art at the Kazakh National Academy of Art in Almaty, Kazakhstan. More than 20 years ago, she got into the trade of weaving by working on tapestries. “I learnt a lot about weaving with felt and ikat during that time. Though I tried traditional designs, my interests always veered towards contemporary choices. Even today, when I draw up a design, I keep in mind modern trends and options,” says the designer dressed in a chic off shoulder ikat dress and a breezy indigo wrap. 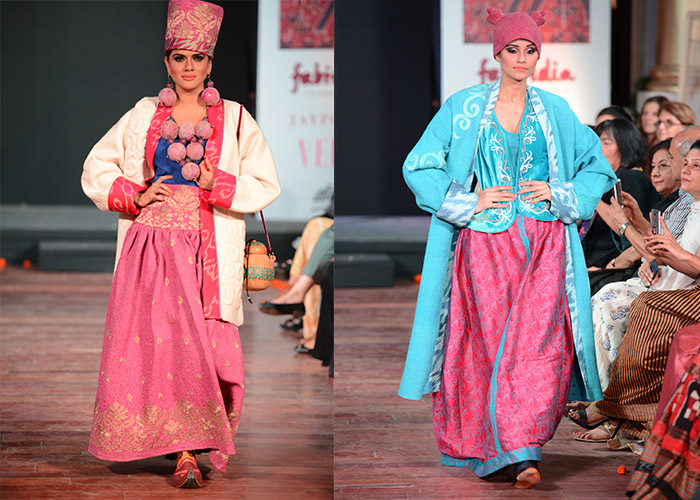 Bekkulova’s yen for the weaves grew from watching her mother craft pretty costumes for her children. “The art of experimentation was seeded right then. 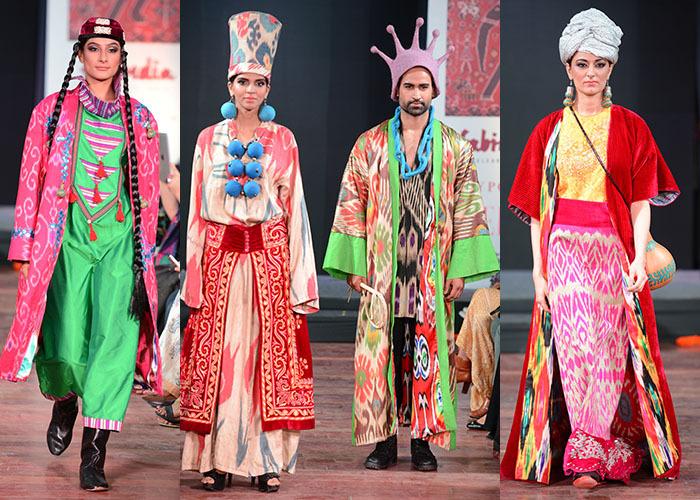 I learnt how to give a modern edge to a traditional craft with special detailing and surface embellishments,” says the designer who is a member of the Union of Artists of Kazakhstan as well as the leader of the Union of Artisans of Kazakhstan. 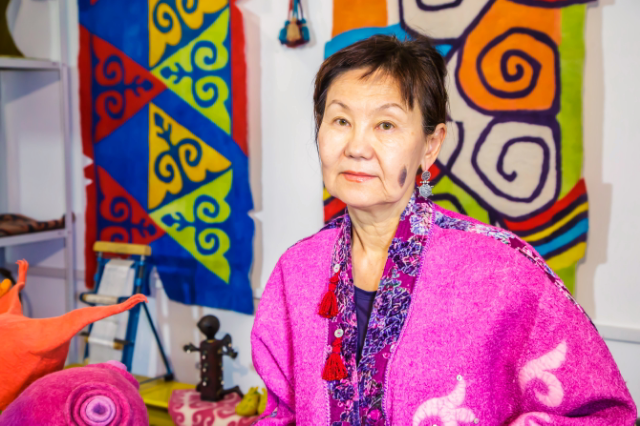 The collection she presented at the World Ikat Textiles Symposium has been created along with Auez Saginaeva, an expert on traditional Kazakh textiles.